OnLive streaming will soon hit Google TV thanks to some updated hardware. Released back in 2010, Google TV is the technology behemoth's attempt to add the web to users' television sets. Available as a standalone set-top box and integrated into certain TVs, Google TV puts a web browser - plus several other internet-based services, like Netflix and Youtube - at the mercy of a TV remote control. So far though, Google TV's game offerings have been limited to TV-compatible apps in Google's online store Play, but that's about to change; OnLive revealed today that it will be bringing its game-streaming service to all second-generation Google TV devices. 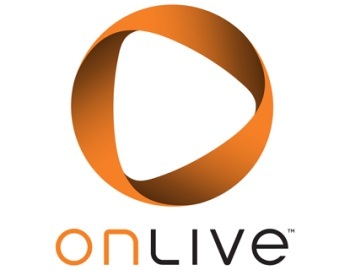 OnLive, which aims to stream resource-intensive AAA games to players without requiring top-of-the-line PCs, will be coming to Google TV with the help of chipset manufacturer Marvell. Marvell - not to be confused with comic giant Marvel - is the company behind the new ARMADA 1500 chipset included with the latest Google TV hardware. The new chipset is, according to OnLive Founder and CEO Steve Perlman, "an impressively high-performance, low-power SoC that accommodates OnLive's highly advanced technology and delivers a mind-blowing gaming experience." The chipset also supports 3DTV and, according to Marvell and OnLive, "provides consistently high-quality, full HD video" to users. OnLive didn't specify when the new player would be available to Google TV users or its price, if it will have one. Until then, anxious players will have to content themselves with the OnLive Viewer, which is the spectator-only app currently available on Google Play for free.